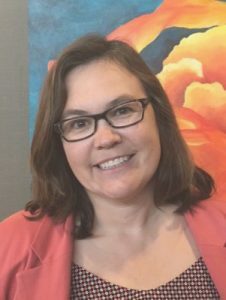 Verena Roberts is a passionate online and blended K-12 educator and consultant from Calgary, Alberta, Canada and is currently a Technology for Learning Specialist with Rocky View Schools. She is also a Michigan Virtual Research Institute Fellow and Werkland School of Education (University of Calgary) doctoral student who is completing her EdD in Learning Sciences. Her primary research focus is in open learning in K-12 learning environments. She has consulted facilitated and developed a wide range of open networked learning projects with a focus on open educational resources, emerging blended learning opportunities and personalized professional learning pathways for teachers with Mozilla, CANeLearn, ERLC and iNACOL. Some of her open projects include cMOOCS like #Digifoot12, #ETMOOC, #OCLMOOC, the ABOER K-12 Multiplying K-12 OER project as well as the #Gamified project. Verena has presented at a wide variety of national and international conferences and is the iNACOL 2013 Award Recipient for K12 Innovation in Blended and Online Learning for developing TheOC@ADLC (The Open Classroom at Alberta Distance Learning Centre).